Home News Marvel Pop! PEZ Event at BoxLunch Irvine Spectrum on August 25! Marvel Pop! PEZ Event at BoxLunch Irvine Spectrum on August 25! Pop! 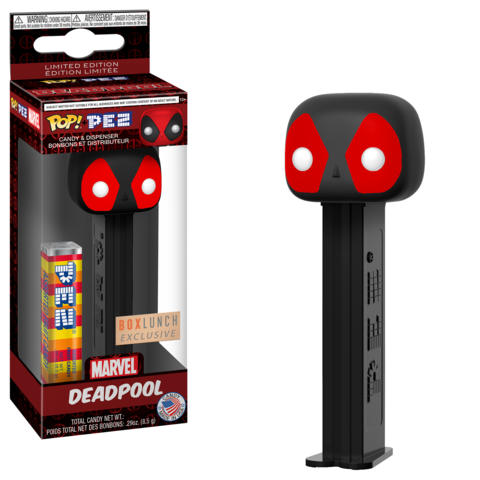 Pez are on their way and to celebrate the release of the new Marvel Pop! 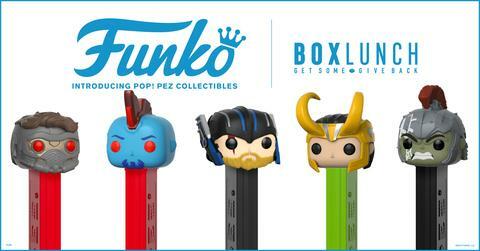 Pez, BoxLunch has partnered with Funko to host an event at the BoxLunch Irvine Spectrum store, on August 25th from 10am to 4pm. 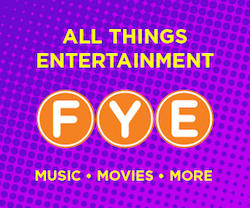 The event will include a meet and greet with Funko CEO Brian Mariotti, and appearance by Freddy Funko and members of the Funko Funkast team, giveaways including a life-size Deadpool PEZ statue, live DJ and more! The Marvel Pop! 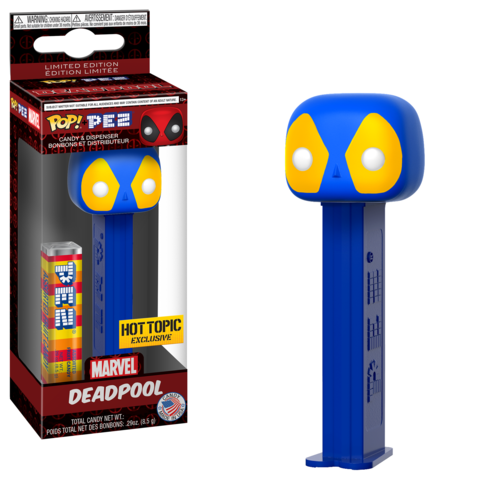 PEZ series launches first at BoxLunch and Hot Topic this August before making its way to other retailers in the following months. The debut assortment includes Deadpool, Magneto, Cable, Thor, Hulk, Loki, Star-Lord, Yondu, and Stan Lee. Also on August 25th, BoxLunch and Hot Topic will release a couple of exclusives! The new black/red Deadpool Pop! 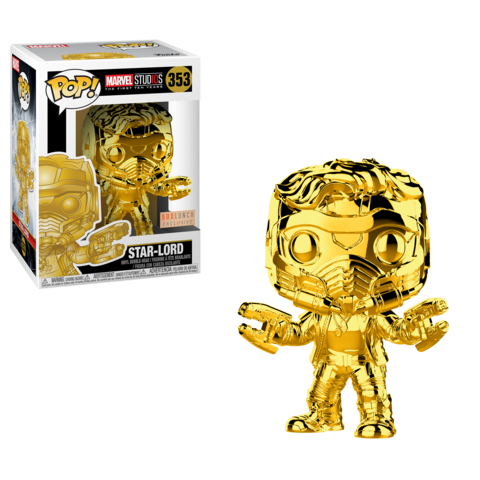 PEZ and a gold chrome Star-Lord Pop! will be released at BoxLunch stores and BoxLunch.com, while a blue/yellow Deadpool Pop! 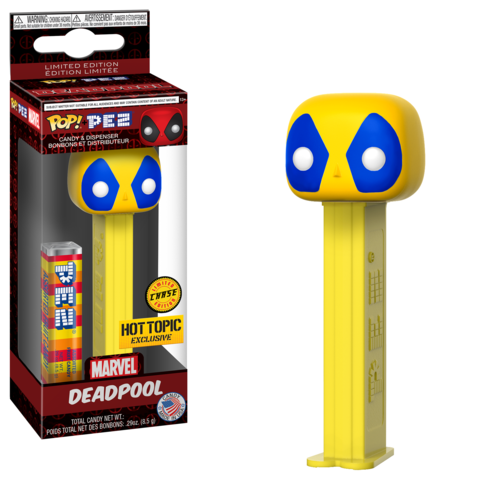 PEZ variant will launch at Hot Topic stores and Hottopic.com. Previous articleNew NFL Pop! Vinyls Coming Soon! Next articleNew Previews Exclusive Guardians of the Galaxy Comic Rocket Raccoon Pop! Vinyl Now Available for Pre-order!